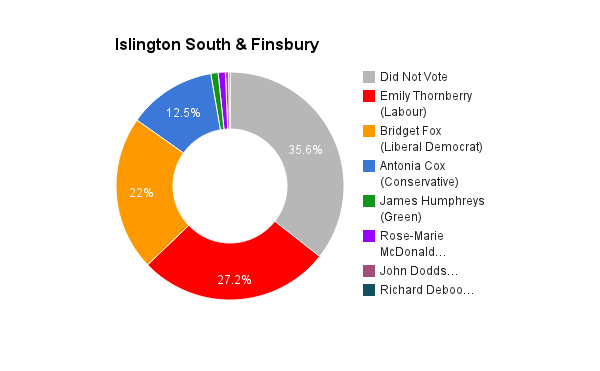 Islington South & Finsbury is the counterpart of Islington North in London and is noted for having the first openly gay MP, Chris Smith, who managed to win with a majority of over 10,000 votes in 1992. Since the election of Smith’s successor upon retirement, the seat has been one of the more marginal in the country with the 2005 election only having a majority of 484 votes. The incumbent MP is the Labour Party’s Emily Thornberry who has been in office since 2005.